Enriched with Cedarwood, Tea Tree & Turmeric Biobloom's Hair Oil is a perfect solution to treat dandruff with its natural properties that controls itchiness and reduces hair fall. 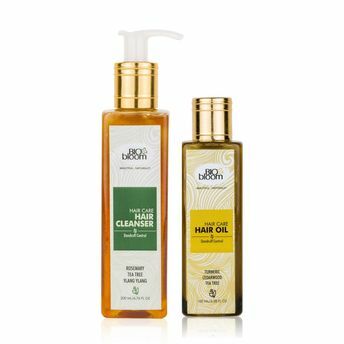 This hair oil also helps in cleaning clogged pores of your scalp and helps in providing nutrition to your hair follicles. An essential blend of Rosemary, Tea Tree and Ylang Ylang based Anti Dandruff Cleanser by Biobloom is a natural solution that treats split ends, dryness of the scalp and dandruff. 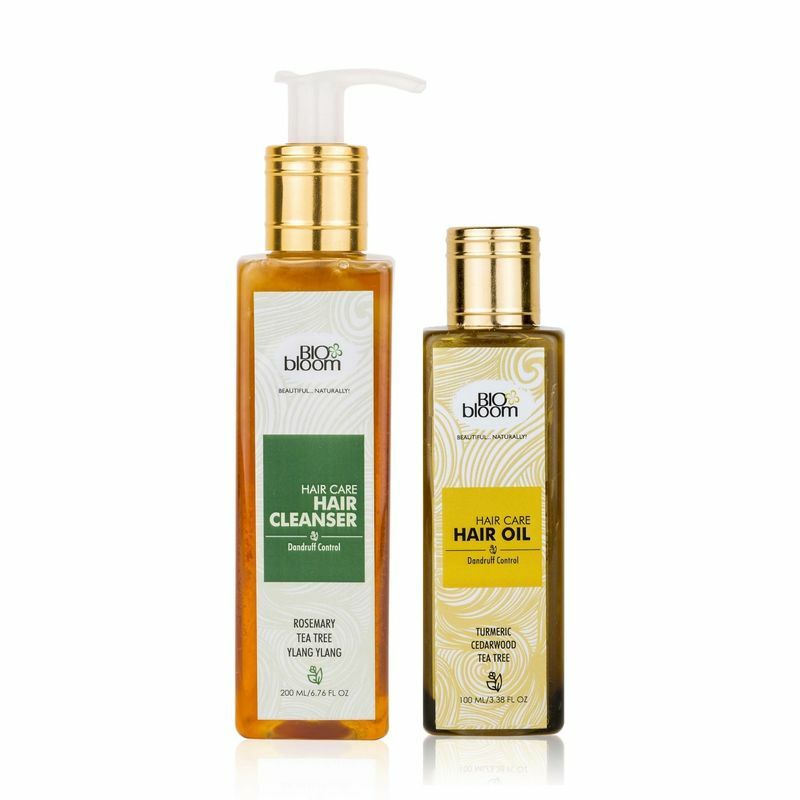 This cleanser helps in treating split ends, and also helps in stimulating the hair follicles which increases the width of the hair giving you a head full of thick healthy well nourished hair. Biobloom's chemical-free solution is effective for all hair types and treats dandruff very effectively without any harmful effects.